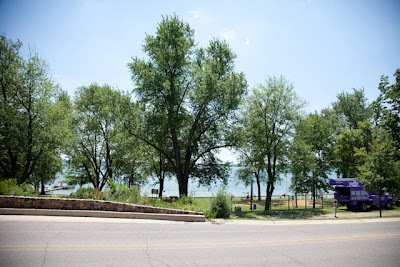 The Original Root Beer Stand In Culver, Indiana has overlooked the beach at Lake Maxinkuckee since before I was a kid swimming in the lake. It has changed names and owners over the years, but is still a summer staple for the folks who descend on the lake for summer fun. 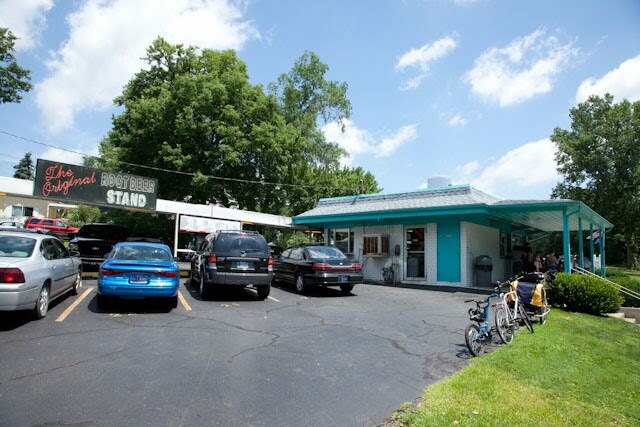 It offers its drive-in, car-hop service, walk-up window and picnic tables. 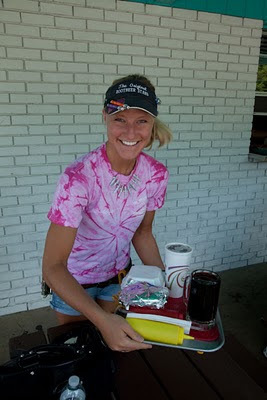 The drive-in has a real waitress who takes your order and delivers it on a tray. Sonic should take notes. We stopped to try the burger and the breaded tenderloin. I ordered the Big Guy Burger with two quarter-pound patties for $4.20. The burger patties are frozen, but are thawed and seasoned before cooking, according to Katelyn, our cheerfully helpful server. One of the melted American cheese slices oozed from between the patties and another underneath. There was shredded lettuce, fresh tomato slices and soft white bun. I added ketchup and mayo. 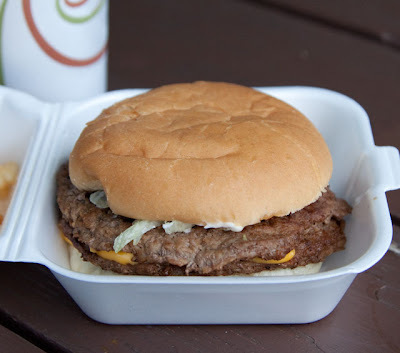 It was a good burger, somehow the patties were tasty and crumbly – better than the typical burger of that ilk. The crinkle cut fries ($1.60) were thin, hot and salty. Very enjoyable. But as always, when we come home, the breaded tenderloin sandwich ($2.95) steals the show. 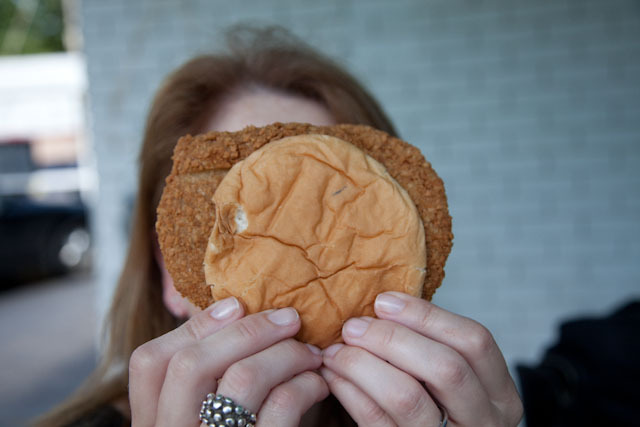 Big as your face, the thin-pounded pork tenderloin, breaded and deep fried, extends out and beyond the bun. When done right, this is a treat you just can’t get just anywhere. The stand did a nice job with theirs. We actually got out of the car and sat at a table overlooking the lake. It was a beautiful summer day to enjoy lunch at the stand. So how was the root beer? Was it house-made? This is the best root beer I've ever had, I've never found anything else like it. It's the name of the pace, and you don't even mention it? ? I love to eat a decent burger! That's why I always write gengo reviews whenever I go to a dinner place. That's a way to keep tracking where are the best burgers in town.